Made To Order - Allow 2 weeks to be made before shipping. PLEASE CONTACT ME BEFORE YOU ORDER!!! 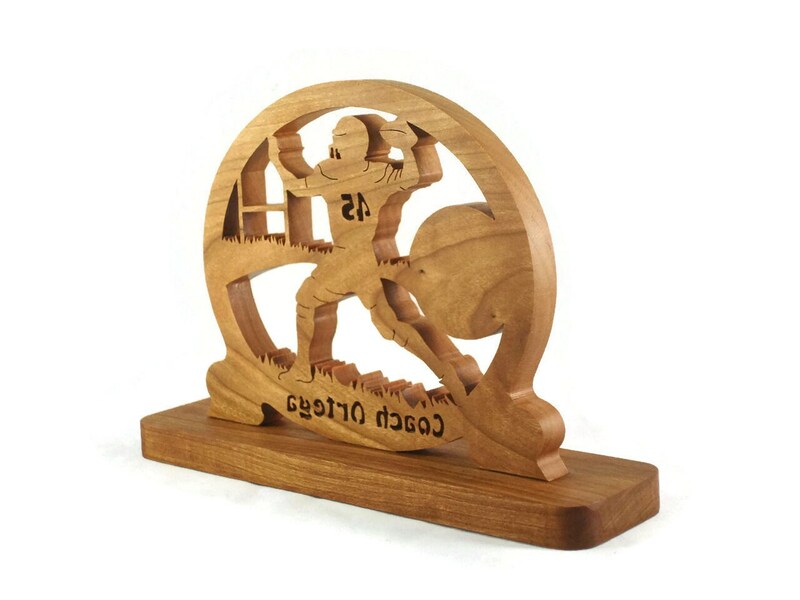 Whether you are a football player or a football fan you will enjoy having this time piece placed on your desk or shelf. 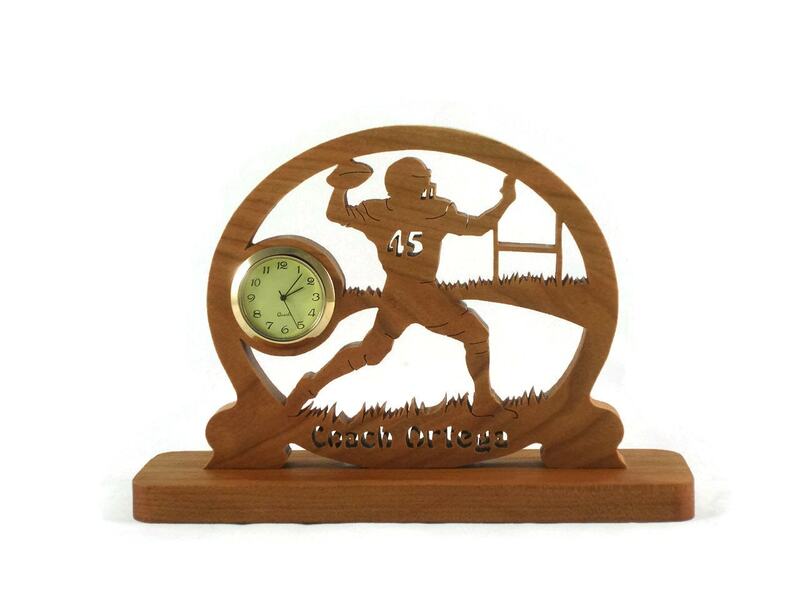 This football desk piece can be either a clock or a photo frame of your favorite football player. 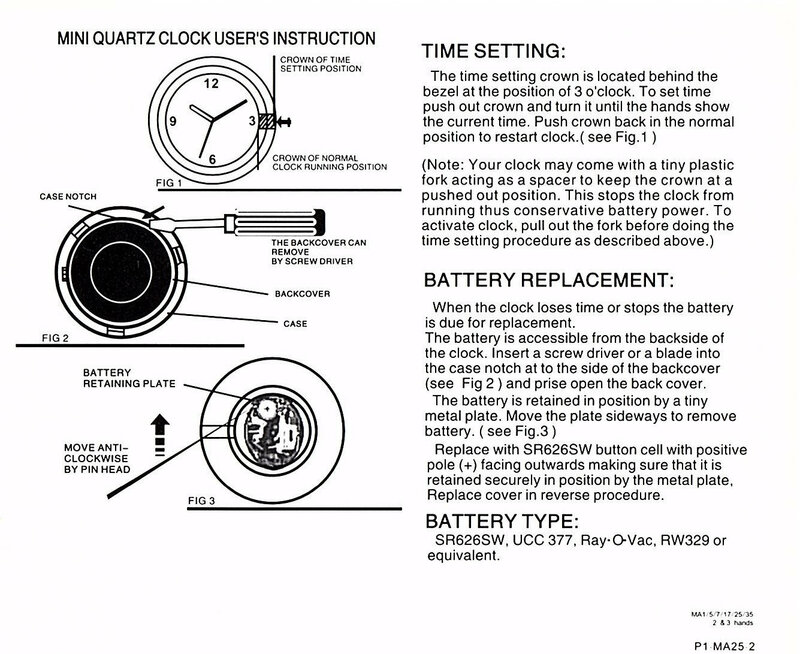 The 1-7/16 in clock shown in the photos is a quartz clock with a white face, Arabic numbers, and a gold color bezel. The clock has the battery installed and is ready to be activated. The clock or photo frame was hand cut with a scroll saw out of 1/2 inch Cherry wood and then mounted to a base to help keep it sturdy. RETURN / REFUND POLICY: Custom / personalized items to be paid in full at time of order with no refunds / returns, with the exception of items being damaged during shipment.. Photos of damaged packaging and item required for refund / exchange..
Special non-toxic all natural bee's wax and mineral oil finish is used on this which gives it a very soft silky feel to the wood. 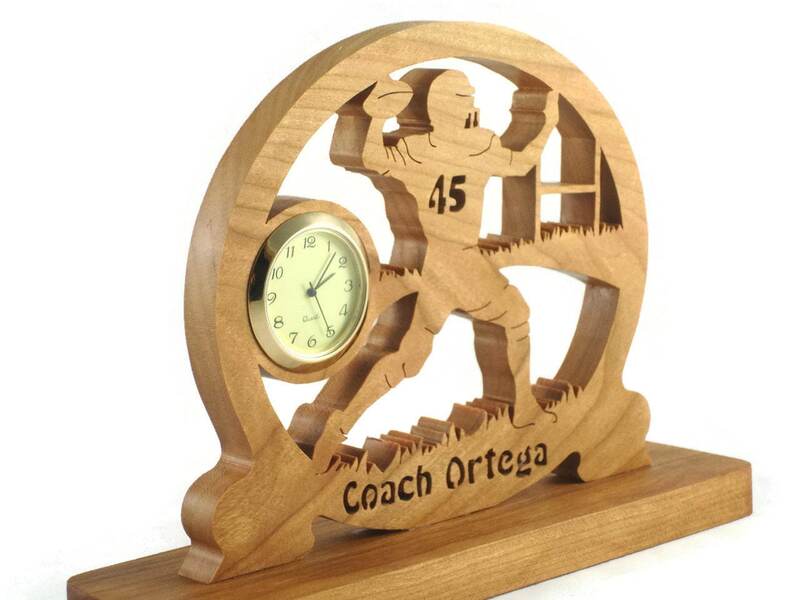 This can be custom ordered using other types of wood if you do not prefer the oak. Message me if you are interested in another type of wood. 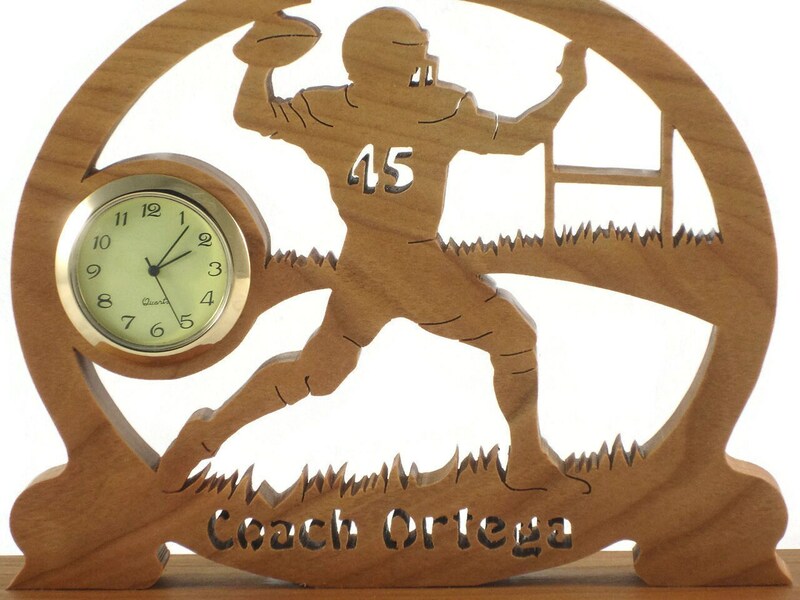 I have many other sports & wildlife themed clocks styled similar to this available message me your request and I will be glad to make you one..